Alumnae of Mt. Mary University are inspired and empowered women who are committed to challenging and transforming their communities and workplaces. 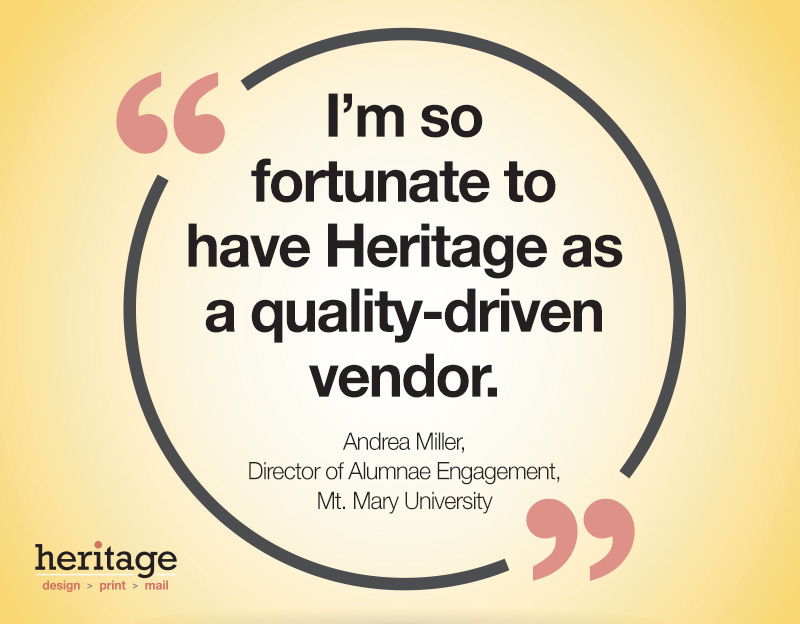 Andrea Miller, Director of Alumnae Engagement, holds her suppliers to a similar high standard. When she needed posters to help promote a major alumnae event, she turned to Heritage to design and print them. They exceeded her expectations and helped make her event a success.